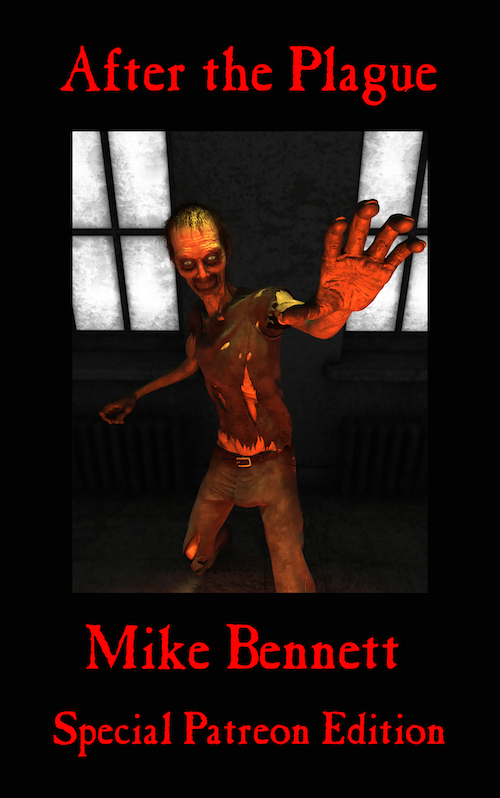 Mike Bennett Author: After the Plague - Ebooks at Patreon! After the Plague - Ebooks at Patreon! It's been a busy day for my ebook publishing adventures at Patreon. Not only have I just published the latest chapter (4) of Underground - the new U&F novel, but I've also just published the special Patreon edition ebook of After the Plague. All books come in zip bundles that contain both Kindle (mobi) files and Nook, Apple, Kobo (epub) format, so there's a version to suit all reading devices. And for those of you who prefer to use your ears for book reading, the latest podcast chapter of Underground (4) is also now live at Patreon. You'll need to subscribe at $3+ a month, but that's a small price to pay - less than a coffee in Starbucks! Come on, get in there, people! Huzzah!! Happy Halloween! 2x Free Ebooks!! Underwood and Flinch in the Audible Store! Last Day of the U&F Kindle Freebie.